The complete specs for the European 2012 Honda Civic 5-Door have officially been released. Sadly, there are still no plans to bring it stateside. 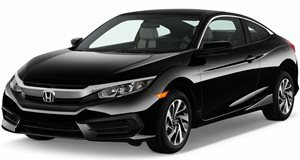 Although the North American-spec 2012 Honda Civic is proving to be less impressive than its predecessor, the European five-door model is once again something we&apos;re truly missing out on. 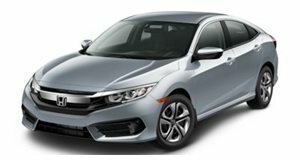 And now Honda has released more performance specifications for the 2012 Civic five-door and it&apos;s clear that this version is the better car. For starters, its overall exterior design is more appealing, with its more aerodynamic shape and lower front fascia, streamlined mirrors, and drag-optimized taillights. It comes with standard 16-inch alloys and optional 17-inchers. As usual, soft-touch plastics are used throughout the interior. Also included is a redesigned steering wheel, a touchscreen automaker has also added additional sound deadening materials. The trunk holds up to 14.2 cubic feet of luggage. Power is provided by a choice of three engines: a 1.4-liter i-VTEC with 98hp, a 1.8-liter i-VTEC with 139hp, or a 2.2-liter i-DTEC diesel with 148hp and 258lb-ft of torque. While all of this sounds solid, a new report is claiming that Honda is preparing to move up the North American model&apos;s mid-cycle refresh by one year. Instead of happening in 2014, the 2013 Civic will apparently fix the current car&apos;s weak points. Specifically, Consumer Reports wasn&apos;t impressed with its overall handling, interior plastics, and overall refinement. Hopefully Honda put more time into the five-door model as the U.S. model&apos;s earlier refresh will surely cost the automaker a lot of extra money.